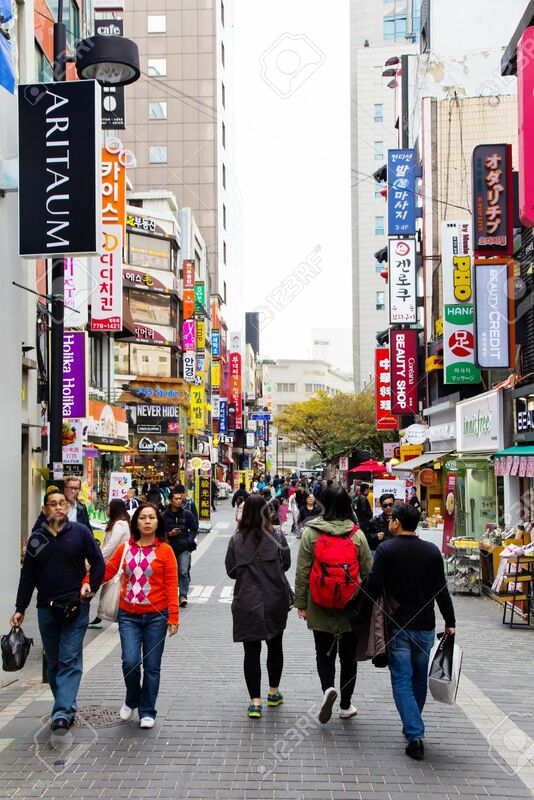 Seoul,South Korea - NOVEMBER 1: Young People Shopping In The.. Stock Photo, Picture And Royalty Free Image. Image 34297189. Stock Photo - Seoul,South Korea - NOVEMBER 1: Young people shopping in the Myeongdong Shopping Street on November 1, 2014 in Seoul, South Korea. The location is the premiere district for shopping in the city. Seoul,South Korea - NOVEMBER 1: Young people shopping in the Myeongdong Shopping Street on November 1, 2014 in Seoul, South Korea. The location is the premiere district for shopping in the city.